Our technicians understand how important it is to pay close attention to details and are committed to getting jobs done right the first time. Having a broken HVAC system can lead to dangerous situations, so we make it easy to use our services by offering flexible appointment availability throughout the week. Reasonable rates are charged for everything we do, and we're upfront and honest with our pricing. At E&J Geothermal, Inc, we place the satisfaction of our customers as a top priority. We use premium products that we trust to last, and our technicians will arrive to your property with all of the tools needed to make a job go smoothly. 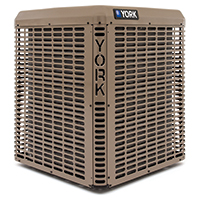 To find out more about working with an HVAC Contractor from our business in Solon, IA, contact us today. To learn more, you can visit us here.